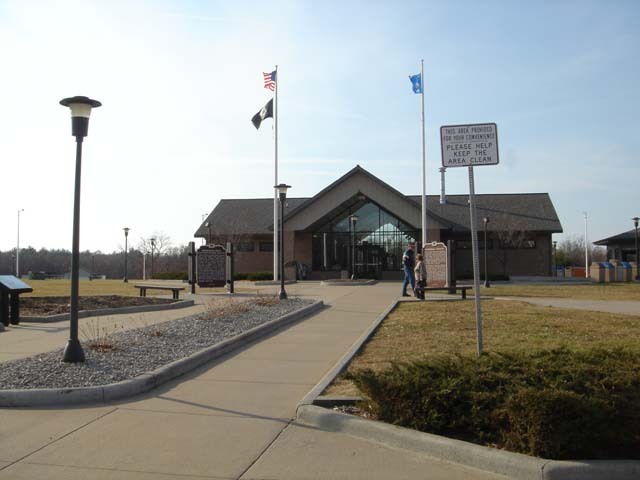 Located 8.5 mi south Black River Falls rest area southbound interstate 90 WI Coordinates Lat N 44:13':584" Lon W 90:42'428"
Winnebago Indians call themselves "Hochunkgra", A Siouan people, they once occupied the southern half of Wisconsin and the northern counties of Illinois. The Black Hawk War of 1832 and a series of treaties forced the Winnebago out of their homeland, and they were removed to reservations in Iowa, Minnesota, South Dakota, and finally to a portion of the Omaha Reservation in Nebraska. With each removal, small bands of Winnebago returned to Wisconsin, with the largest settlement in Jackson County. 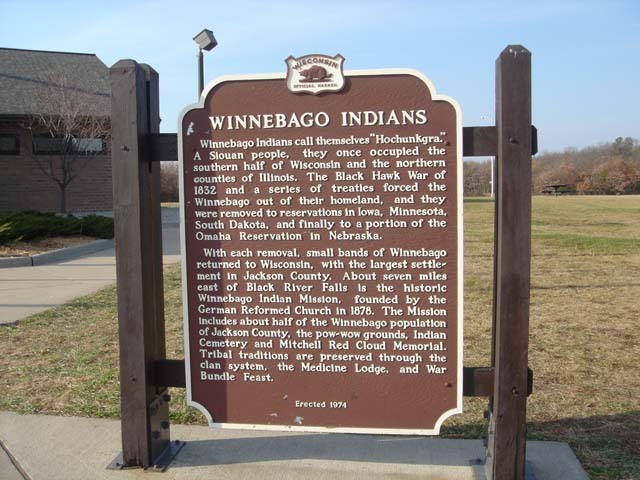 About seven miles east of Black River Falls is the historic Winnebago Indian Mission, founded by the German Reformed Church in 1878. The Mission includes about half of the Winnebago population of Jackson County, the pow-wow grounds, Indian Cemetery, and Mitchell Red Cloud Memorial. Tribal traditions are preserved through the clan system, the Medicine Lodge, and War Bundle Feast.